It’s never too early to start with books! » Comhar Chathair Chorcai Teo, Cork City Partnership Ltd.
It’s never too early to start with books! We at Happy Talk always encourage parents to help develop their children’s interest in books from a young age. Through Happy Talk, crèches and pre-schools have been provided with a range of storybooks and have re-vamped their book areas. 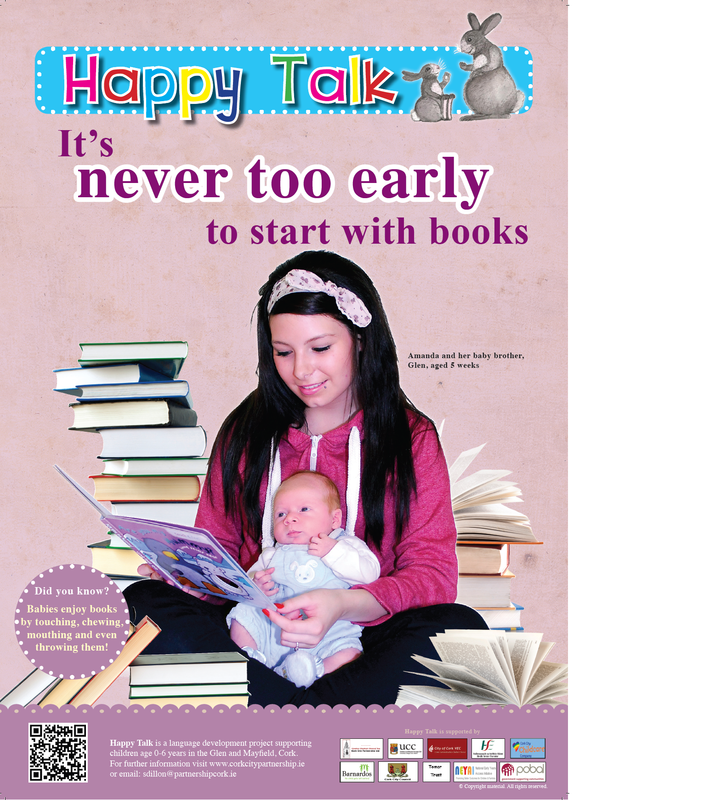 Happy Talk has supported them to introduce a Borrow-a-Book scheme – through this scheme, families have a broad range of books to choose from which are suitable for their child’s age, their stage of development and their interest. Happy Talk has developed books around the familiar characters Nibbles and Twitch. 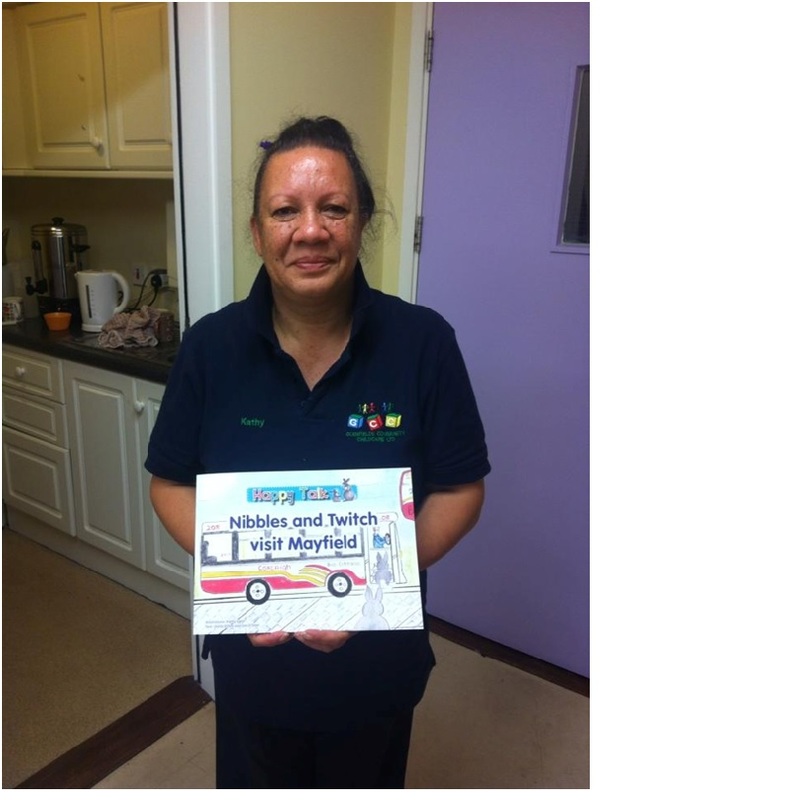 These books were beautifully illustrated by Kathy Egan, Pre-school leader at Glenfields Community Childcare.